In this case spare does not equal sparse. 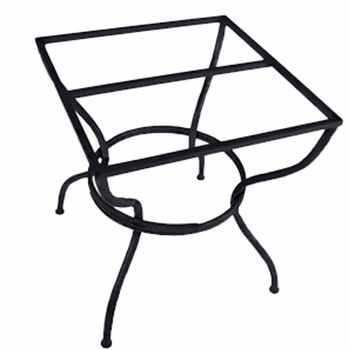 The wrought iron legs on this base have a trim profile that allow for more seating around it and a glass top would permit its slim strength to shine through. Dimensions: 29" high - Custom made for your top. Please be sure to let us know the size, shape, material, & thickness of the top that you are purchasing the base for.